(1) A large dao in the car. (2) A 4" folding kife + 21" expandable baton+ can of Cobra pepper spray + 900 lumen flashlight all in the laptop bag (which also contains a laptop). (3) A small folding knife + concealed 16" foldable baton + small pen shaped can of pepper spray + small pen shaped 250 lumen flashlight on the person. I also try to maintain an optimal situational awareness at all times and try to brisk walk an hr every 5 days a week. Martial arts is not practical considering the time and energy required. Considering that a gun beats everthing mentioned above, I have also applied for a npb license. However by all indications my chances are quite slim. I carry a Stick which is commonly known as Latth in western UP/ Rajasthan/ Hariyana. and a Metal Pipe with a pointed Spike at one end In My CAR. Regarding self defence every day carry tools, I'd recommend using a folding knife (preferably one with integrated tools) and the most powerful flashlight you can find. 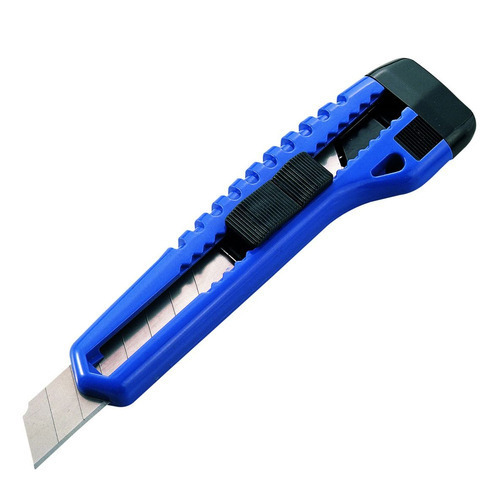 A box cutter is actually a terrible idea as the blade doesn't tolerate bending very well and can break easily. Replica co2 pistol, revolvers will be a nice bed side items. If you can spend some money then get a pcp pistol in .177, that can produce 10-12 ft pounds. Which is also under legal limit. Vimalkarur wrote: Replica co2 pistol, revolvers will be a nice bed side items. If you can spend some money then get a pcp pistol in .177, that can produce 10-12 ft pounds. Which is also under legal limit. Your opponent will think that you have real weapon and if decides to kill you before you can kill him. It means you are dead in matter of seconds no matter how many times you fire or use your "weapon" or "gun". Yes, what you are saying is true. But the scenario you are saying will happen even if you have a real firearm. All depends on the person who is using. Vimalkarur wrote: But the scenario you are saying will happen even if you have a real firearm. All depends on the person who is using. With the real firearm, you have the capability or choice to stop your attacker before he kills you. With a useless thing like CO2 gun or air gun etc. you are escalating the situation without possessing any real capability to stop your attacker. Before saying useless, just understand pcp pistol with 10-12 fpe is enough to startle or even disable your opponent if used properly. Also now semi auto and fully Auto co2 guns are available. Which will produce 4-6 fpe energy. So if you do not have enough idea or trust about their ability, it doesn't mean they are useless. But then you may be in trouble if your opponent is startled and hurt but has a lethal weapon such as a gun, a knife or an axe. If you have to defend yourself, it would be better to take the most powerful weapon you have, and not a toy which may frighten your aggressor, but which may annoy him even more as well. First understand the topic. Non firearm urban self defense. That's why I made the suggestion. I myself have a FN BROWNING A5 and applied for a pistol license. I know the difference between a air rifle, co2 vs firearm. I understand it, and that's why I've recommended stuff like sharpened infantry shovels and machetes; at least your attacker is actually in danger if he tries to attack you, while the worst thing that can happen to him if you are to defend yourself with a BB gun is a couple welts that will hurt for a day or two on his skin. What I suggest is not a BB gun. Co2 guns nowadays shoot pellets. That can go inside 2-3 inches. Pcp pistol can do even more damage. There are auto repeat co2 gun that can be shoot like a semi auto pistol. Eh, I guess this can actually incapacitate someone, especially if you're aiming at the face... but I'll still avoid it and stay with someone with less range but more reliability.